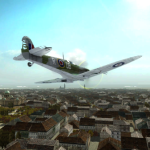 In Air Conflicts Ultimate Edition, you’ll get to fly fighter planes in World War II, biplanes in the Great War and work with huge resistance movements that fought against the Nazi regime in all secrecy – including the French Maquis, the Yugoslav Partisans and RAF Balkans. 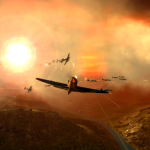 Air Conflicts Ultimate Edition is a uniquely compelling air combat game straight from the makers of the acclaimed Attack on Pearl Harbor. Key features include exiting air battles and smuggling missions in which you will fight alongside the resistance against the Nazis, or smuggle supplies for the resistance troops. The game is easy to learn and requires no training thanks to the intuitive and satisfying controls. You’ll get to fly in both World Wars thanks to the innovative Flashback Missions and it comes with an intriguing narrative. Air Conflicts Ultimate Edition is coming to stores this fall, more specifically 21 October 2016 and will be available for PlayStation 4 consoles only.